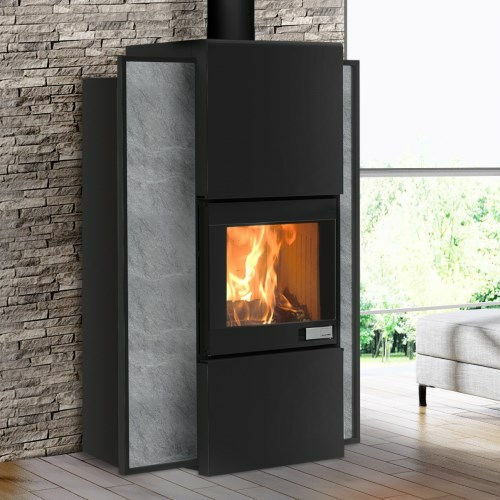 The SERIE S FOGHET EVO ARIA combined wood and pellet stoves are latest generation product using the EVO technology to comply with the restrictions of efficiency and emissions for environment protection. Design and heat in a minimum amount of space. 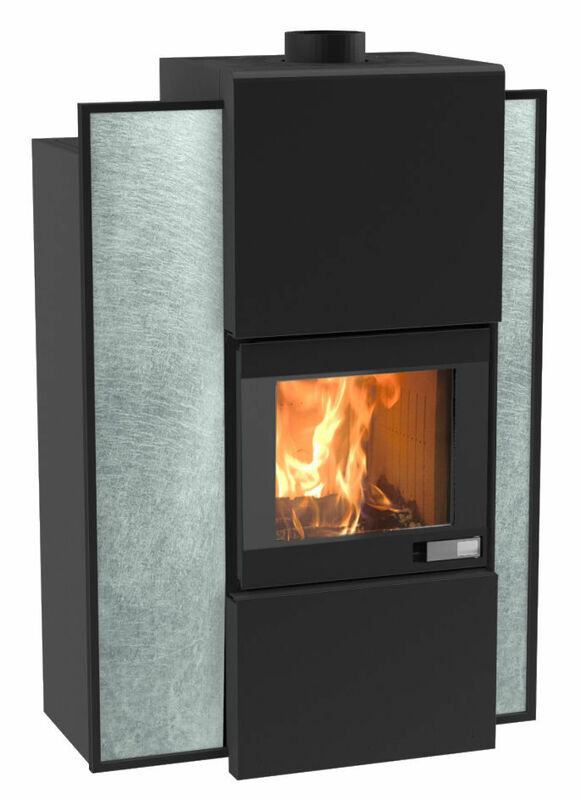 With SERIE S FOGHET EVO ARIA you can choose whether to heat the room by natural convection or by forced air. It is equipped with a built-in humidifier to improve the quality of air which can be also canalized to other rooms. The practicality and aesthetics of the door guarantees a safe and easy fire management, thanks to the double glass it keeps more heat in the combustion chamber improving the comfort of radiation. The exclusive characteristics of SERIE S FOGHET EVO ARIA make it particularly suitable for new low energy consumption buildings.